Allergy Season is coming up. Avoid getting symptoms like sneezing, runny/stuffy nose, itchy and runny eyes, and increased allergic asthma symptoms. 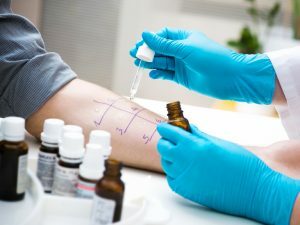 Book your Allergy Testing for environmental allergies at our Clinic. It is OHIP-covered and performed by appointments only. No needles will be used and it can be done for kids and adults. Please call our office or attend in person to book.